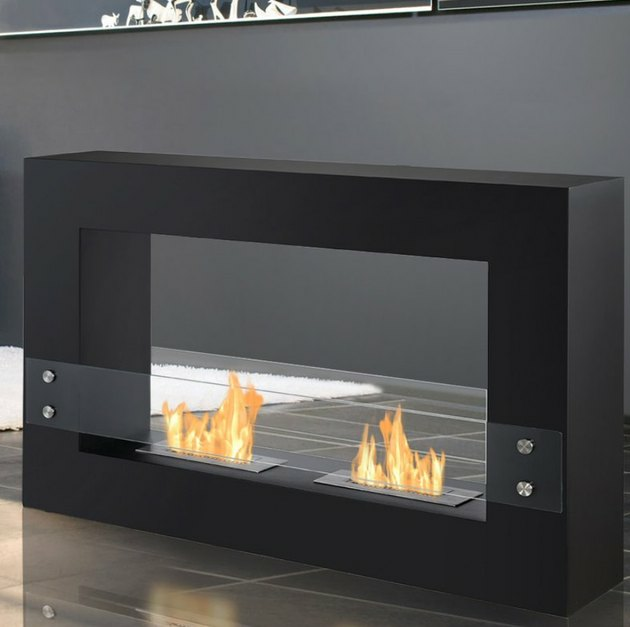 Looking to create the contemporary fireplace of your dreams? Here are some simple design rules to remember: less is more; clean, simple lines reign; and exercising restraint when decorating will make the biggest visual impact. 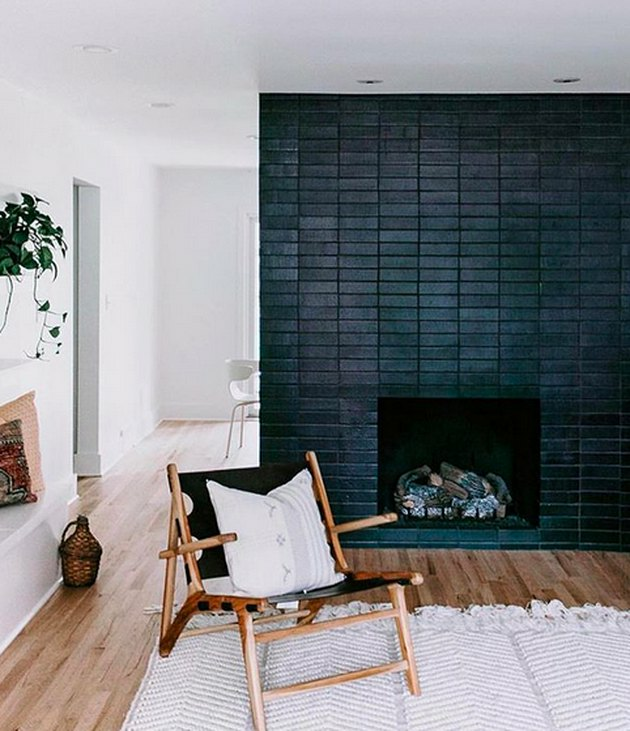 So time to fire up your Pinterest board of "modern fireplace ideas" — these 11 pics are pure pinning inspo. The architecture firm that designed this dream house has us packing our bags for Rio De Janeiro, where they are based. 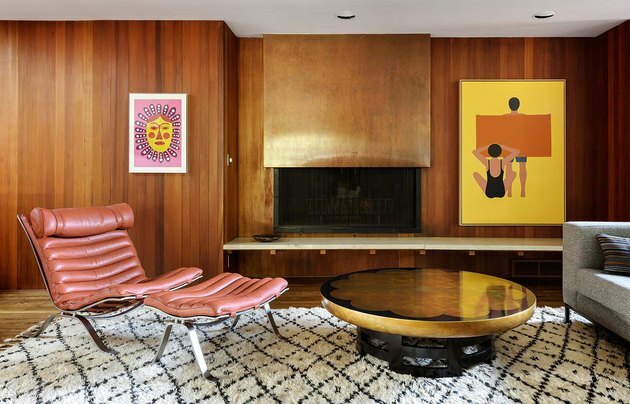 Check out the symmetry — one of the main tenets of good design — in this room. Wood tables and bohemian rugs add warmth to the high contrast architectural elements. We heart everything about this. 2. Natural elements create interest. Stone — it isn't just for English cottages. 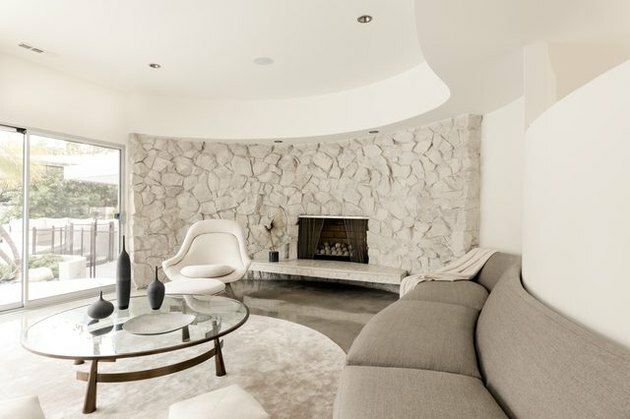 This curved fireplace is a signature part of the overall architecture in this midcentury modern California home. It pairs perfectly with the contemporary furniture and concrete floor. 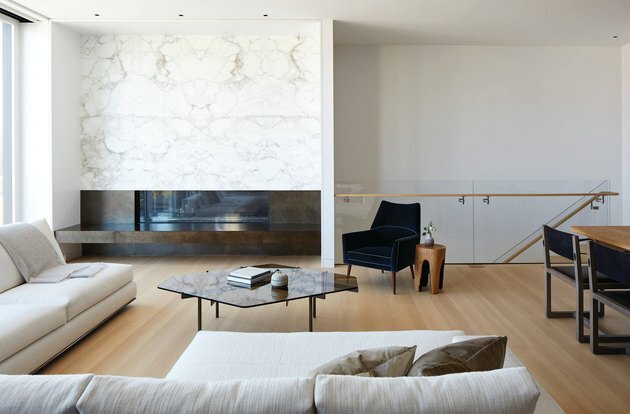 We love the modern makeover that marble gets in this elegant fireplace. By bringing this natural material from the ceiling almost all the way down to the floor, Catherine Kwong creates a show-stopping centerpiece that functions as a piece of art in a minimalist room. The simple glass front and bronze accent mimic the horizontal orientation so there aren't any competing lines. You've probably come across this image perusing Pinterest or any number of magazines over the years, but we just can't quit this one. 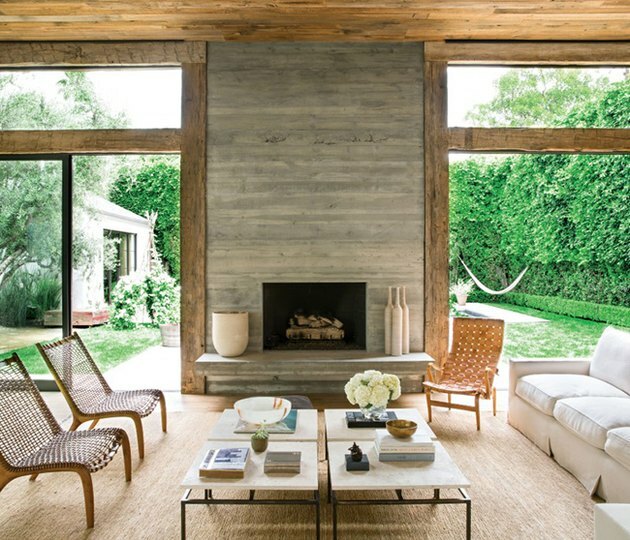 As far as we are concerned, Jenni Kayne's former Beverly Hills home is a study in warm, rustic modern design and pure perfection. The oversize fireplace is the focal point of the living room and the use of board-formed concrete adds interest and texture. Bonus: The other side functions as an outdoor fireplace. Portland-based design genius Jessica Helgerson stays true to the roots of this midcentury William Fletcher house that she made over, while adding some modern touches. A copper hood and travertine hearth (not to mention some spectacular art and furniture) add a touch of glam to wood paneled walls. 6. Keep the face simple. Sarah Sherman Samuel does it again, this time in an overhaul of Mandy Moore's Los Angeles home. A terrazzo bench made of hand-selected marble pieces (how's that for custom?) 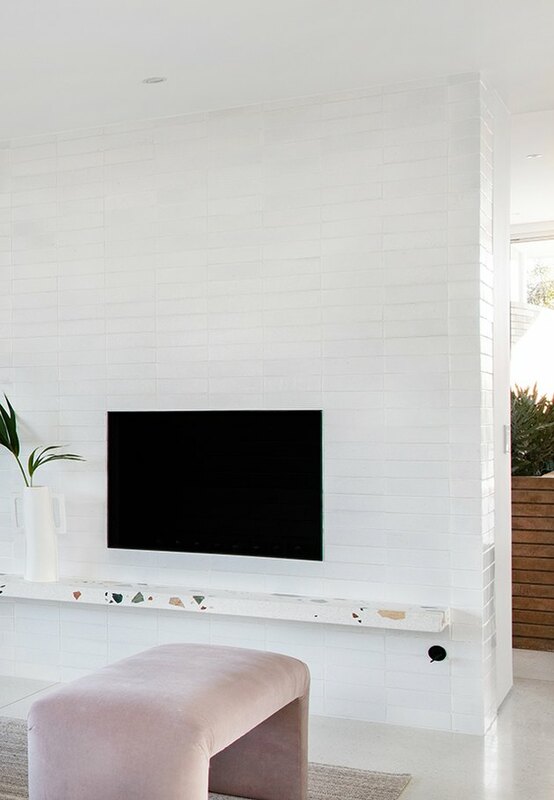 adds just the right amount of color and texture to an all-white tiled fireplace. 7. Don't be afraid of black. Sustainably-made black brick tiles by one of our favorite manufacturers, Fireclay, takes our love of all things brick to the next level. 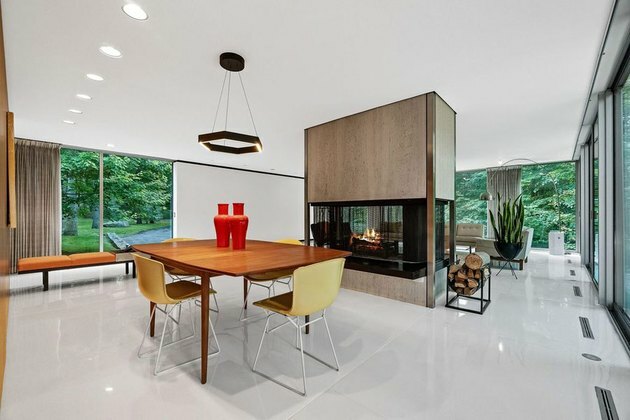 The dramatic fireplace grounds an otherwise all-white room and creates welcome tension with high definition contrast. 8. Use it to divide your space. 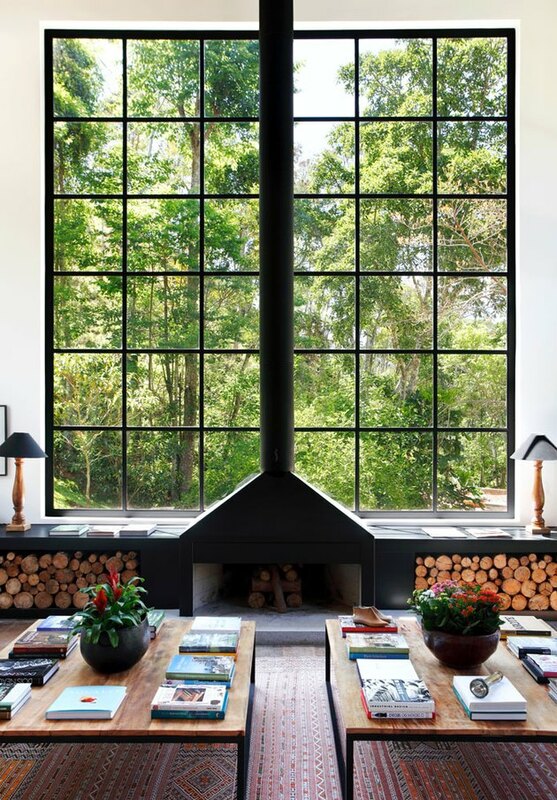 Who wouldn't love a four-sided fireplace? If you have an open-plan room, consider anchoring it with a fireplace that acts as a divider and brings a surround of warmth to several different seating areas. A metal mesh fireplace screen is a great period detail. 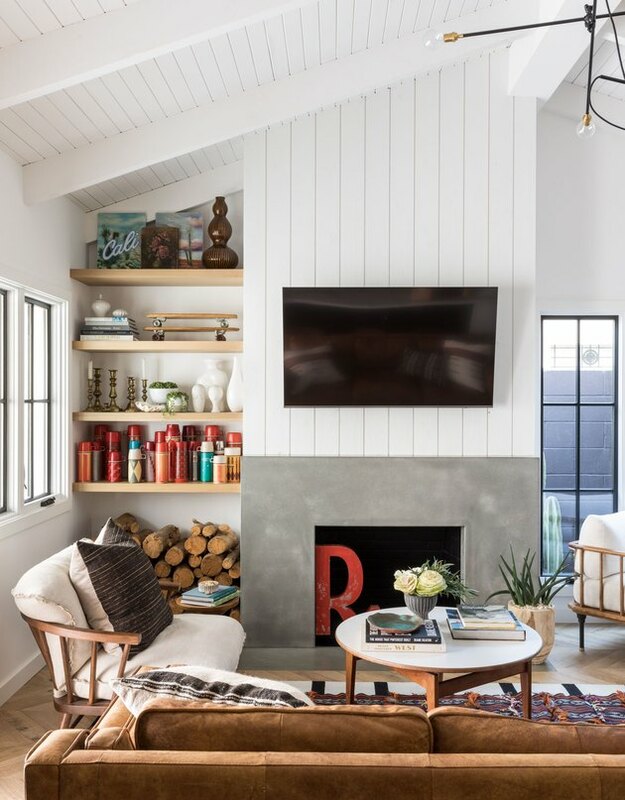 While this room has an overall cottage vibe, we love how the traditional tongue and groove wall above the fireplace is juxtaposed with a modern custom cement surround. Quirky accents and worn leather furniture complement the look and keep things playful. 10. No chimney? No problem. If you live in an apartment or home without a chimney, don't worry, we've got you covered, too. From ceiling-mount to wall-mount to floor standing units, there are a handful of modern ventless designs available that run on eco-friendly biofuel. You might not be able to roast marshmallows over them, but they do give off heat. 11. Marry form and function in your design. 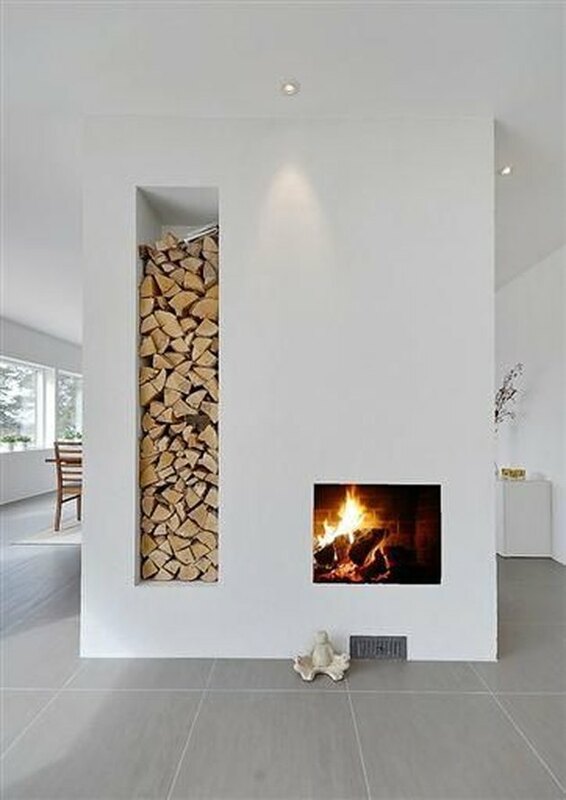 Form meets function when wood storage is incorporated into your fireplace design. It's practical and adds the warmth that some modern spaces lack.